Stylists, workouts, fashion, feminists, kilometres of kombucha and an abundance creativity and encouragement. Find out what went down when I spent two days with some of the most inspirational women on the planet. Create & Cultivate is a movement for women looking to create and cultivate the career of their dreams. 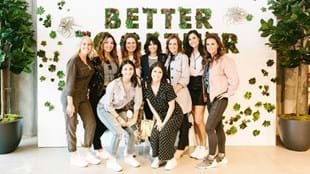 Earlier this month the movement came to life in LA, where thousands of savvy women joined forces to enjoy a highly curated fusion of inspiration – think panel discussions, mentor sessions, cocktails, healthy treats on tap and plenty of pop up shopping. 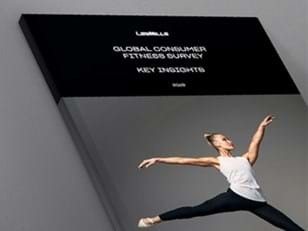 I was there with fellow fit girl Lissa Bankston and actress and social media star Nina Dobrev (who is also a Les Mills and Reebok ambassador). Together we added a good dose of fitness to the mix. We ran an awesome dance session and had loads of women unleash their fierce unstoppable energy while killing it in a mixed martial arts workout. It felt like a day out with the girls, but everything about it was dialed up 1000 percent! We heard from some of the best business women in the US and picked up plenty of inspiration from women who’ve survived some of life’s toughest challenges. And there were celebrities everywhere – all keen to share their take on business and being a woman in the modern world. 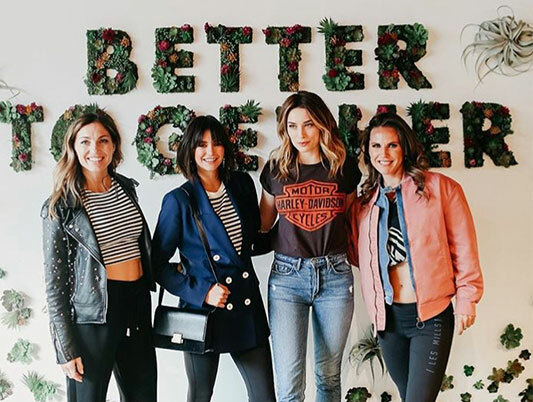 Nina Dobrev took to the stage in a panel to discuss the one million club, and how to negotiate the world of social media when you have over one million followers. Her beautiful down-to-earth energy shone as she reminded us that we are always better together – together we inspire each other, we challenge each other and we empower each other. Chrissy Teigan shared her vulnerable side during a very refreshing interview. She spoke about not striving to be perfect or seek other’s approval, and how if you get something wrong you need to acknowledge it. It goes a long way! Kim Kardashian West candidly spoke about the struggles of being a mother, wife and businesswoman, and her realization that now, with children, work has to take a back seat so she can focus her attention better. I know a lot of women struggle with this life balance and the guilt that comes with it, so it was FAB to have an insight into how someone as successful as KKW does it. 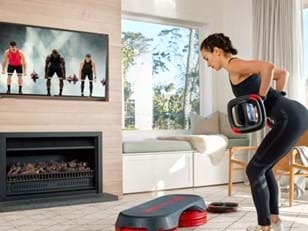 Whatever the venture – a new business idea, a fresh fitness regime or more study – make sure you know exactly why you are doing it, and what you want to achieve. Don’t hold on to your ideas too long. Even if it feels crazy just dive in and put your heart into it. Always identify what real success means for you. It’s only when you establish this that you can truly know whether your goals can be managed. And remember success means different things for us all!